OK Kosher Certification recognizes that this is a busy time of year, as you deal with the demands of closing 2016 on a high and driving to achieve all of your targets. 2017 is around the corner and brings another year of opportunity for growth. As your partners in kosher certification, OK Kosher Certification appreciates the deep commitment that you invest in kosher. We want to honor that partnership by continuing to help your businesses grow in 2017. In the past 12 months, we’ve significantly simplified our processes while adhering to the same stringent level of kosher regulatory standards OK Kosher is known for. 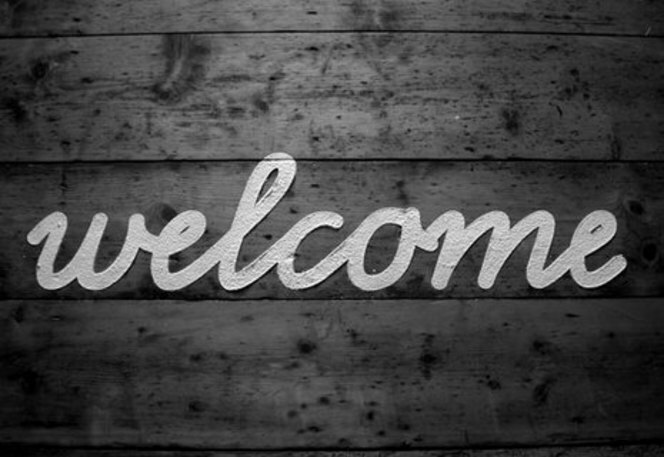 We have also expanded our staff with several high-caliber individuals across all departments. This means we are stronger and better equipped to guide our clients than ever before, moving into 2017 and beyond. Our commitment to excellence will forever be our guiding principle. To maximize your investment in kosher, it is important for the kosher symbol to be printed clearly on your labels – prominently displayed and large enough that consumers can easily see it. As part of our promise to be your advocate for all kosher matters, we encourage you to give added consideration to the design and placement of the OK Kosher logo on the labels of existing certified products. To assist in this endeavor, OK Kosher has developed an easy-to-follow guide for proper use of the symbol. Please contact service@ok.org, to request copies of this guide. We thank you for your loyalty and look forward to showing our appreciation in ways both big and small. It is our goal that you consider OK Kosher your in-house kosher experts for any and all kosher matters. With best wishes for a happy and prosperous 2017. Customers often ask us who within their company should be assigned to oversee and manage their kosher program, and what it takes to do so. As a kosher certified company, you are aware of the various kosher regulations that apply to your company, however, what is the best way to ensure that your company remains in compliance? Simply put – there are no shortcuts. But the good news is that OK Kosher’s commitment to upholding the highest standards of kosher law is matched by our commitment to the highest levels of service to our certified customers. 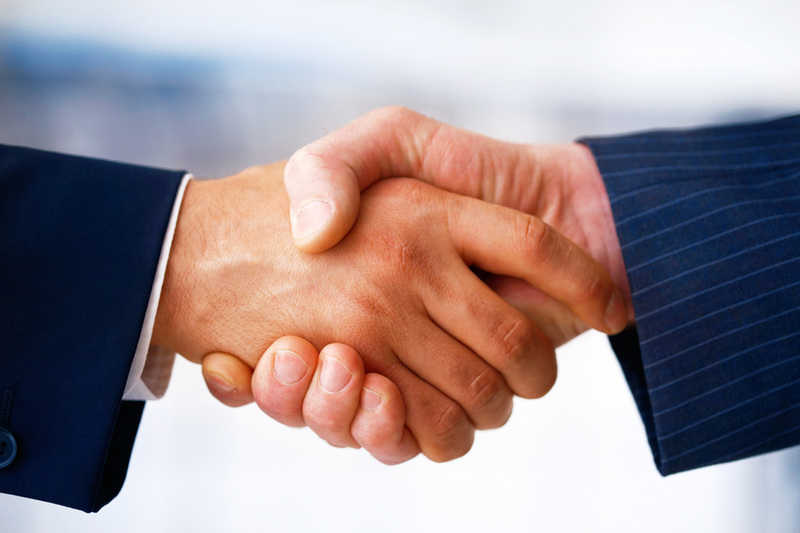 These commitments are evident at every stage of our relationship with our customers. We are happy to guide you through the process of incorporating compliance measures into your day-to-day procedures. The first and most important step to success is to designate at least one person (typically from the Quality Assurance or Regulatory Affairs department) to be your “Kosher Contact”. He/she will be actively in charge of the kosher duties and act as the in-house kosher expert for your company. He/she will communicate directly with your Rabbinic Coordinator (RC) and Customer Service Account Representative for all your service needs – such as new ingredient, product and label approvals, billing issues, private label requests and ensuring that OK Kosher is fully aligned to your objectives. The Kosher Contact will also accompany your locally based field representative during periodic unannounced inspections at your facility. Companies with multiple plants generally appoint a full time corporate liaison to oversee kosher for all their facilities. The Kosher Contact serves as a resource to both your company and OK Kosher on issues relating to certification. He/she studies and implements the specific terms and conditions detailed in your certification agreement, and corresponds with OK Kosher. The Kosher Contact will submit (or oversee submissions) or all new ingredients, suppliers and products to be certified. Marketers have long argued that kosher certification is a great marketing tool. 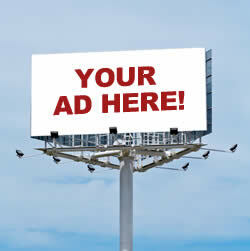 The Kosher Contact will also look out for new opportunities and present to marketing. 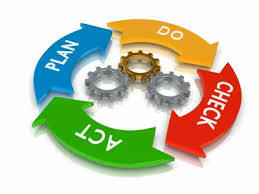 In order to achieve and maintain excellence in the kosher department clear systems must be established in every department that will enable effective processes and avoid errors, thus preventing costly mistakes and misunderstandings which could potentially lead to product recalls. To help achieve that aim, the Kosher Contact and any other relevant plant personnel should familiarize themselves with our Plant Manual. A link to the manual can be found in the Miscellaneous column of your Digital Kosher homepage. (“Kosher Certifying Agency Manual”). The Plant Manual provides an excellent overview of what kosher is all about, as well as the requirements and procedures necessary to maintain kosher in your factory. If you would like to receive a hard copy of this manual, please let us know. Whether your company is large or small, we are always available to help you (free of charge) to develop strategies for achieving maximum success. Please email service@ok.org so we can direct you to an appropriate person. As part of OK Kosher’s efforts to assure the highest quality standards and achieve the maximum level of service, our leadership team has developed a set of principles and framework to achieve quality assurance. A primary goal and guiding principle of the quality assurance system is to strengthen our certified companies and ultimately support their efforts to provide high standard kosher products to consumers. In order to achieve this, in addition to ongoing mid-year visits by your local OK rabbi, each certified company is required to participate in an annual assessment process (the “Annual Visit”), conducted by an OK executive rabbi. The annual visit is a distinguishing feature of OK Kosher’s level of quality and service. All of our customers, from huge corporations to small businesses, receive the same personalized attention from their dedicated senior headquarters rabbi – the Rabbinic Coordinator. The executive visit enables you and your RC to meet in person each year, and together review the unique mechanisms of your facility. As a result, the RC will be able to tailor the necessary kosher instructions for both you and your local OK rabbi, and he’ll have the information and background he needs to assist you in a thorough, comprehensive and timely fashion when you contact him during the year to discuss new projects that might need his feedback. In addition, the annual visit is an opportunity to discuss how it might be possible to certify other products that are not currently included in your kosher program. If utilized effectively, the annual visit can serve to upgrade your involvement in the kosher program. As a matter of fact, many customers tell us these visits have helped their regulatory staff, and company personnel as a whole, to better appreciate and be part of the kosher program. We encourage you to take advantage of this visit to openly discuss your questions, concerns, forecasted new projects, etc. This may also be an opportune time to set up a seminar for your employees so they can meet the rabbi and ask any questions they may have regarding general kosher knowledge and your kosher program in particular. The rabbi will be happy to conduct this type of session. Please let the rabbi know prior to the confirmation of his visit that you wish to set up a seminar, so that he can schedule his itinerary accordingly. At OK Kosher we remain committed to our mission: to certify, educate, advocate, and promote kosher. 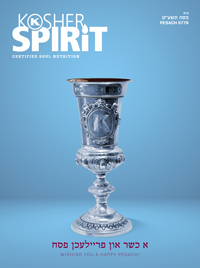 The OK has revised its comprehensive “how to” manual for kosher certified facilities. OK Kosher believes that communication is essential to the effective development of a kosher program. To this end, the purpose of this manual is to direct you, step by step, through a successful kosher protocol. Whether you would like to introduce a new ingredient, launch a new product, or understand the interaction between the rabbi and your staff, or anything else, you will find clear instructions in this guide. Another purpose of this manual is to familiarize (newly) appointed personnel with kosher information and requirements pertaining to your facility. This concise, user-friendly format will serve as a guideline to those not yet familiar with kosher. The manual covers the basic rules of a kosher facility, including ingredients & raw materials, kosher certificates, the OK “Group” system, equipment & productions, toll manufacturing, finished products, labels, rabbi visits, Passover, and more. Each section of the manual explores these topics in depth and is an indispensable resource for all employees involved in production of kosher products. The plant manual also includes a comprehensive tutorial of the digital services the OK provides to its customers – be sure to ask your account representative to help you explore how you can take advantage of them. The most important takeaway from the OK Kosher Manufacturing Facility manual remains that when in doubt, ask. When you think you know the answer and don’t want to bother the rabbi, ask anyway. To obtain copies of the revised manual, please contact your Account Representative or email info@ok.org (SUBJECT: Plant Manual) and your request will be forwarded to your Account Representative. We’ve made these changes after talking to customers like you. Thank you for your support. We do not take your loyalty for granted and are working hard on your behalf. 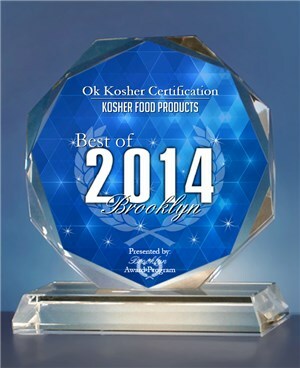 OK Kosher Certification has been selected for the 2014 Best of Brooklyn Award in the Kosher Food Products category by the Brooklyn Award Program. Each year, the Brooklyn Award Program identifies companies that we believe have achieved exceptional marketing success in their local community and business category. These are local companies that enhance the positive image of small business through service to their customers and our community. These exceptional companies help make the Brooklyn area a great place to live, work and play. Various sources of information were gathered and analyzed to choose the winners in each category. The 2014 Brooklyn Award Program focuses on quality, not quantity. Winners are determined based on the information gathered both internally by the Brooklyn Award Program and data provided by third parties. The Brooklyn Award Program is an annual awards program honoring the achievements and accomplishments of local businesses throughout the Brooklyn area. Recognition is given to those companies that have shown the ability to use their best practices and implemented programs to generate competitive advantages and long-term value. The Brooklyn Award Program was established to recognize the best of local businesses in our community. Our organization works exclusively with local business owners, trade groups, professional associations and other business advertising and marketing groups. Our mission is to recognize the small business community’s contributions to the U.S. economy. Fermented Red – A Game Changer? Ed. Note: Carmine, a popular red colorant, is not kosher due to the prohibition of insect derived foods. A synthetic version is a major contribution to kosher food production. 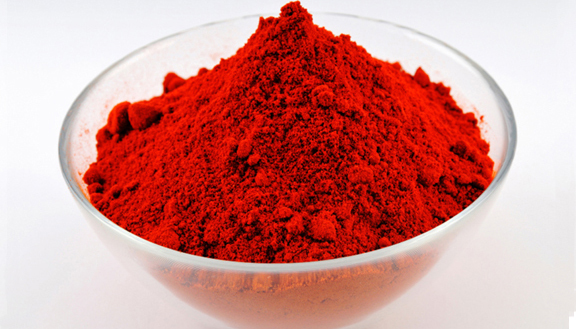 Red is the most used color in the food industry, and carmine is a very important natural red color. It is used in a large number of products due to its excellent coloring properties. A project has been running over the past few years aiming at developing a new production method for carmine as an alternative to the production method in use today. “The idea is to find the gene that produces the pigment and put it into a production organism – possibly yeast – so we can produce carminic acid by fermentation, or in a “cell factory”, instead of extracting it from the insect,” explains Mads Bennedsen, Senior Research Scientist. 18,000 genes “To map all the DNA, the so-called genome, of a cochineal is a huge task. However small the insect is (1/8″) it has 18,000 genes, and we reckon that 5-10 of those are responsible for the production of carminic acid. Thanks to our expertise in gene sequencing we have now narrowed the candidates down to approximately 50 genes,” he elaborates. Explosion – paradigm shift – technological revolution … Once commercially available on an estimated 5-10 year horizon, fermentation produced carmine represents a great technological leap and it will provide a major competitive advantage in the market place. “If successful as we hope, this project is a game changer. We will have a more scalable production and we will be able to protect the business with solid patents. Once the technology is in place for carmine, we could potentially expand it to other natural colors as well, and that could make it a biotechnological revolution. And I am having a ball being part of it!” concludes Mads Bennedsen. Welcome to the New QuicKosher! 2013 was a year of continued growth at the OK, with hundreds of newly certified customers and ongoing service to our current customer base. This year we are revamping QuicKosher – the premiere kosher food industry newsletter. The new year will see a new design and an improved format with one article appearing at a time and more frequent emails, rather than quarterly, longer newsletters. The new QuicKosher will truly be a quick and informative read, featuring a concise article about new and relevant updates within the OK, complemented by innovations by OK certified companies that benefit the kosher market on a large scale. We encourage you to interact with the newsletter and let us know what kosher topics you would like to see in upcoming issues. If your company is changing the face of kosher food production, please share your accomplishments with us (news@ok.org) so we can publicize and share them with our certified companies! Remember, the OK is here to provide you with the highest level of customer service and help you provide your consumers with products that are Kosher Without Compromise. Your Rabbinic Coordinator and Account Representative are available by phone or email to answer any questions, provide walk-throughs of our unique software, and help you maximize the return on your investment in kosher certification. The economy is tight, expenses are always growing, and now, more than ever, every dollar counts. Every company has a budget – ingredients, packaging, staff, advertising, certifications – and each category is assigned a dollar amount, for many companies an amount that is hard to stick with. Make the most of your kosher certification AND your advertising budget at the same time by clearly advertising your product as kosher certified, using the word “KOSHER” and/or the OK Kosher symbol in your ads. When a kosher consumer sees an advertisement for a product, the first thing he/she looks for is an indication that the product is kosher. Without a kosher symbol, the kosher consumer quickly moves on without stopping to learn about the product. To the kosher consumer, the kosher status comes before the ingredients, before the nutrition panel, and even before the price of the item. In addition to the approximately 1.3 million Jewish Americans who exclusively purchase kosher products, 21% (about 12.25 million) of Americans occasionally or regularly buy kosher products specifically because they bear a kosher symbol. You chose kosher certification because you know it is important to your target markets. Let consumers know, loud and clear, that your product meets the highest standard of kosher certification with a prominent OK symbol on your next advertisement. New ingredients are added to your list of approved ingredients by submitting a New Ingredient Application. There are two ways to submit the application – by faxing or emailing the application and kosher letter to the OK office, or by the preferred method of submitting digitally through DigitalKosher (ensuring better tracking and real-time updates). Once the application is submitted, along with a valid kosher certificate for the ingredient, an OK rabbi will review the application. If the application is approved, the Data Entry department will enter the ingredient in our database which adds the ingredient to your list of approved ingredients.